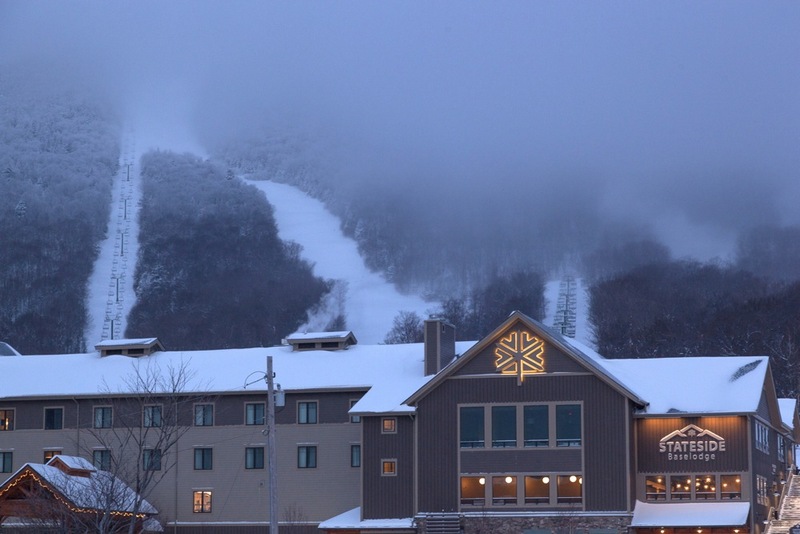 Last August a friend asked me to recommend the Eastern resort with the best chance for fresh snow over the Thanksgiving weekend. 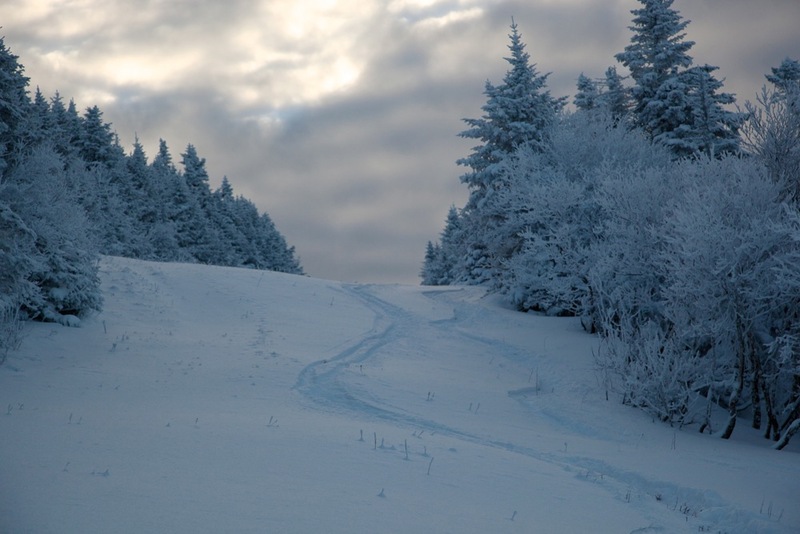 I was intrigued because it seemed like a bold and direct challenge to me, to organize an early season destination trip with a good shot at pow. It didn’t take me long to consider Jay Peak, Vermont. Jay is of course the exception that proves the rule, recent winner of Powder Magazines “Best Pow” award and home of a mindbending Eastern US accumulation record total of more than 500″ in a single season. While there are few guarantees for conditions anywhere on the planet, I’d also been itching to get back to Jay. Few resorts get to completely re-imagine themselves, but it seems that’s what Jay has done in the past 20 years. Like storied snowfall, Jay has piled relentless (and humorous) advertising on top of tens of millions in investment that brought new lodges, amenities and a brand new waterpark. It must pay to be all the way up north if not for the cold air than just to be a little closer to Santa’s Workshop. 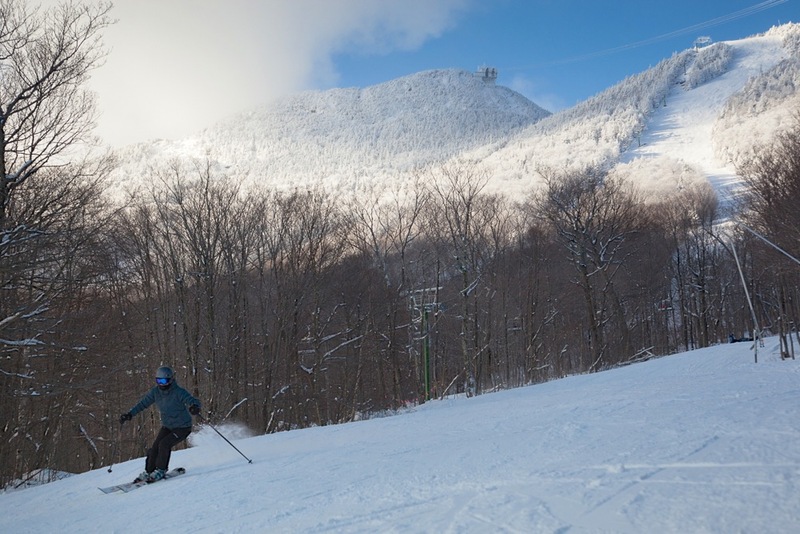 Suffice it to say that Jay Peak today is not your parent’s Jay. The pragmatic side of me said to book it. Locked in a polar vortex, I’d be able to ice skate on a frozen pond in a pristine locale. Or if it was 70 and sunny, I’d be able to ice skate, inside a brand new arena. After working like a turkey this fall I was due for a real vacation. Although I promised myself that I’d be content no matter what happened, I doubt any skier would have much trouble remembering how turbulent this autumn has been weather-wise. The week before saw 18″ of snow fall just in time for spring temps to soften the ground right before we left. My friends were surprisingly more devastated than I was, and asked if we should reschedule. “Trust the cloud” I told them. Sure enough, the cold temperatures hit the moisture in just the right way before the work-week ended. Fifteen inches were followed by 3-to-5, and then 1-to-2 each night after the storm, bringing the best lift-served I’ve had over Thanksgiving. The highlight of the weekend for me was Haynes, which shone like a real black diamond, showcasing soft bump lines on a great northeastern trail. 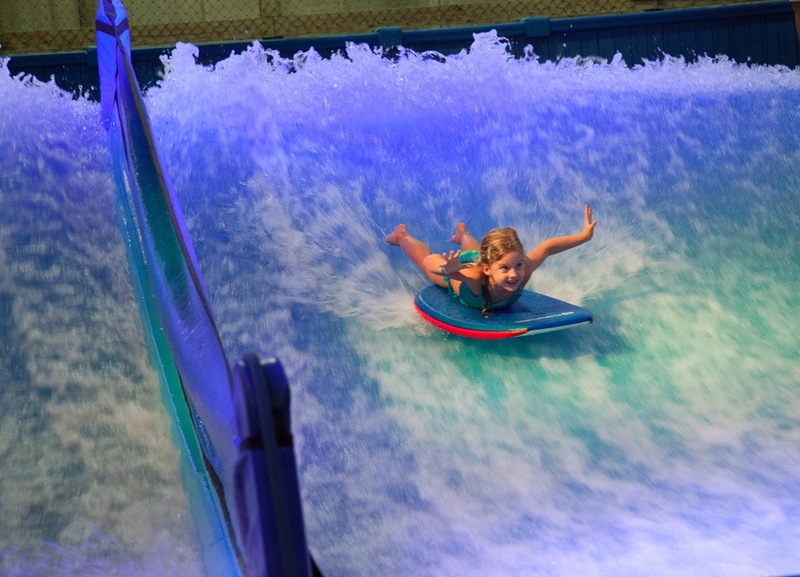 After a hard day of skiing bumps, getting to the water park took some motivation for our crew. More experienced than the others in our group, I wasn’t about to let them pass up this part of the Jay experience. I confess, I used to turn my nose up about such activities, but I’m now sold. My CV includes three trips to water parks this year. As a nouveau connoisseur, I admired the layout. An upstairs bar area gave some respite from the kids enjoying themselves below, as well as a perch to admire the surfers in the wave pool and the 80 degree air. And lest we forget that we were a couple of miles from the Canadian border, it was Hockey night on the stadium sized TV. Like the snow, the amenities exceeded my expectations at each turn. Catching a shuttle was more like having a driver than stewing for the bus, and sharing the ride meant schmoozing with early season diehards and passholders about their spring trips to BC and Jackson Hole. On my final trip from the Stateside Lodge, I stared out the window towards the rocky mount and the tram building. Between the challenging skiing and pampered experience, it was more like cat-skiing than a typical resort getaway. If being Raised Jay means skiing steeps and pow all day and then having awesome lifestyle options in the evening, I hope I’m not too late for a second adolescence. Amen to all that, plus Jay’s liberal backcountry/tree skiing policy. My fondest memory was an April trip that landed me in the parking lot when the local maple farmers were celebrating the end of the syrup tapping season with a bbq tailgate. I brought home a quart of maple gold that had been tapped 24 hours prior… liquid crack. Lucky you! That is the Jay I know and love: full of contradiction and unexpected surprises. Did you meet the Cowbramoose? 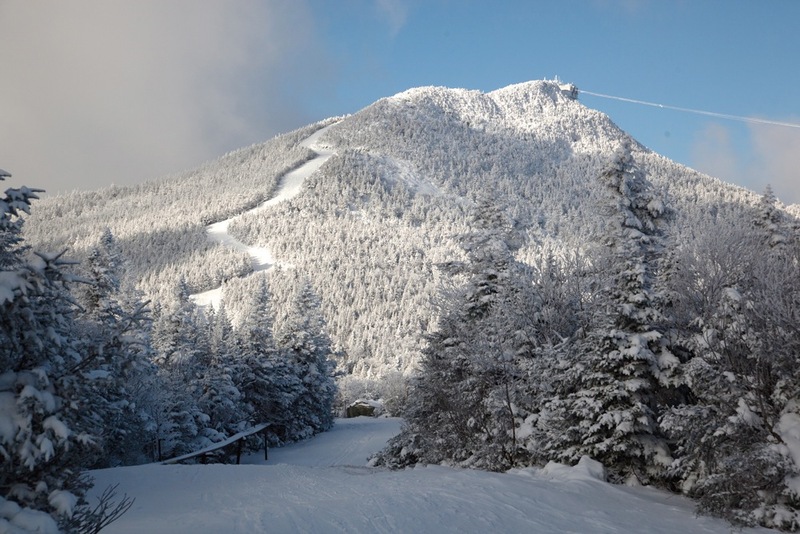 Not a big fan of Thanksgiving skiing, but EC, I’d agree – Jay or Stowe.